NHS Quest trusts strive to have the safest operating theatres in the country and have established a community of members to achieve exceptional safety awareness and healthy departmental cultures in this often high-pressure environment. NHS Quest lead and Senior Improvement Advisor, Zoe Egerickx, welcomed attendees to Salford Quays for the second meeting of the Theatre Safety Culture Clinical Community on Friday 22nd September 2017 at Haelo’s Innovation and Improvement Science Centre. 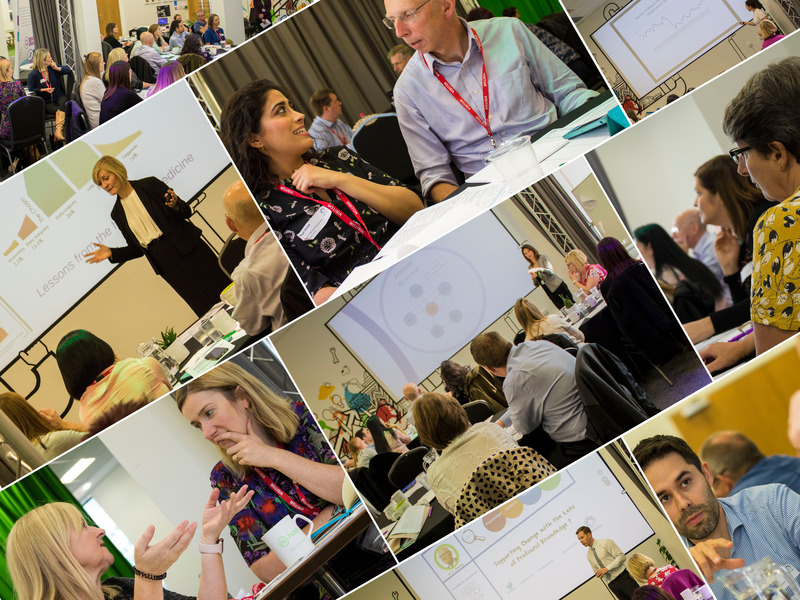 Attendees represented member Trusts from: Bradford Teaching Hospitals, Calderdale & Huddersfield, Homerton University Hospitals, Royal United Hospitals Bath, Royal Surrey County Hospital, Salford Royal, Sheffield Teaching Hospitals, Western Sussex & Wrightington, Wigan & Leigh. The Theatre Safety group first met in June for the launch and knowledge-sharing event in Birmingham. Member trusts brought the combined expertise of theatre staff from across the network to embark on the next step of their improvement journey. At the second meeting, Senior Improvement Advisor, Kurt Bramfitt, held a session introducing quality improvement theory and practice. Using Deming’s Lens of Profound Knowledge, Kurt broke down Psychology, Systems, Variation and Theory, highlighting the importance of developing an appreciation of each component. Also in the session, Kurt explained how teams will use the Model of Improvement within the Clinical Community, explaining the journey that evolved the three questions and PDSA cycle – now Haelo’s default model. Following a session on SMART aims, teams were tasked to clarify their improvement aim and where they want to focus their efforts, ‘if we don’t understand what we want to achieve – how we can expect others to get on board with it’ impeding any opportunity for the aim to be open to misinterpretation. Vibrant conversations followed where teams discussed their shared vision, focus areas, and measures: cancellations, culture, quality, experience etc before coming to a unified aim for the community which is broadly, to reduce harm. It was then turn of Laura Jackman, NHS Quest Data Analyst, to explore her favourite part of the Model for Improvement – the data! Often in healthcare, we see data used for three key areas – judgment, research and improvement. The difference with measurement for improvement is how you can use run charts to tell more of story with data over time and whether the changes you are making are making an improvement. Once teams have clarified their aim and driver diagram, groups want to start thinking about their measures. A full suite of measures would include balancing, outcome and process. Professor Maxine Power, Haelo CEO and who has been involved with NHS Quest for around 7 years, opened the afternoon by celebrating the Trusts attending for wanting to improve at an accelerated pace together. Declaring to be curious about how can we improve improvement, Maxine stressed the importance of our improvement efforts becoming more and more targeted so that we’re clear about the what the problem is that we’re trying to fix which is absolutely crucial in engaging people to ensure people are involved in a meaningful way with your project. In a double act, Jess Roberts, Haelo Project Manager and PhD in the History of Medicine, joined Maxine to present on how to engage teams in improvement projects, using compelling examples form history and connecting this to the Everett Rogers Diffusion of Innovations model. For example, Sir Humphry Davy – best remembered today for isolating a series of substances for the first time – was a reckless, extremely talented and charismatic figure who saw fame and fortune that was unprecedented for a scientist. According to Rogers model, Davys had shown signs to fit the profile of an early adopter. He had ways to achieve exceptional results but missed opportunities when he refused to collaborate with others. The room discussed the lessons we can learn from these historical figures and how we switch the dynamic to get people interested depending on where they fit within the Diffusion of Innovations curve. Often when people are asked to participate in improvement projects the common opposing responses are; I don’t have time; We’ve done this before; and It’ll never work. Participants were asked to think about how they might respond to these statements and innovate so that they might achieve a positive outcome. You can read Maxine’s latest blog on how to succeed in improvement by addressing these issues head on. Clinical lead for the programme, Dr Lesley Jordan, Obstetric Anaesthetist at Royal United Bath with a ccorporate role as the patient safety lead who has been involved in making change with quality improvement over the past nine years for a number of projects across the trust, celebrating the achievements, support and enthusiasm today and how we were able to get a group of teams to set an aim in a morning, which can often take days. It’s inspiring to see what talented individuals and teams can achieve in a community. The day was packed with Trusts exchanging ideas, sharing good practice and discussing the importance of improvement. You can recap on the key learning, discussion outcomes, links to further reading and reference materials in our Knowledge Capture Document. Teams will meet again on the 2nd February 2018 but until then, teams will be invited to participate in a webex with the first focusing on High Reliability systems and how this relates to healthcare – Watch this space!